The PhD programme in Translation and Intercultural Studies, in the Department of Translation and Interpreting at the UAB, allows PhD students to train in different lines of research associated with the broad areas of knowledge: Translation and Interpreting, and East Asian Studies. The programme derives from a PhD programme that has run for more than twenty years and has always been recognised for its quality through the Excellence award (the old Quality award). These distinctions are recognition of the scientific and technical and training assets that the programme possesses as well as the researchers and research groups that take part in it. 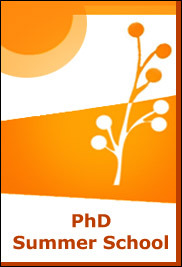 The programme offers PhD students a first class academic environment in which to carry out their research. Highlights are the Permanent Research and PhD Seminar, Young Researchers Symposium and the PhD Summer School. Different collaboration agreements with other organisations also facilitate mobility of PhD students who can find an interdisciplinary and enriching environment in which to do their doctoral research.